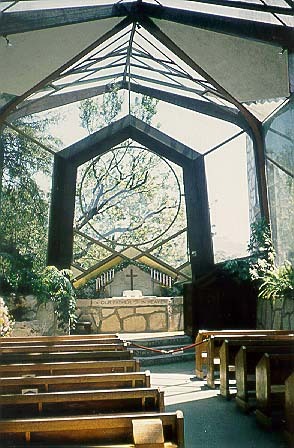 The Wayfarer's Chapel is located on the Palos Verdes Peninsula, south of Los Angeles, near Portuguese Bend. 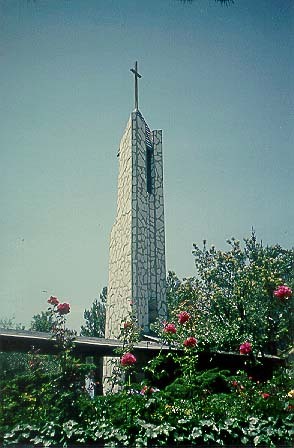 It was built by architect Lloyd Wright (the son of Frank Lloyd Wright). It is a very spiritual and romantic site, much in demand for weddings.